My latest trip to the west Cumbria coincided with the period of freakily warm weather that marked the end of February (in marked contrast to a year previously when we were in the midst of the “Beast from the East”). It felt like spring had come early although the skeletal outlines of leafless trees were incongruous against the backdrop of blue skies and, despite feeling the warmth of the sun on our faces as we worked, the water still had a wintery chill when the time came to plunge in my arm. There were thick growths of algae on the bed of Croasdale Beck: a quick check with my microscope later showed this to be mostly Odontidium mesodonand Gomphonema parvulumand this piqued my curiosity to see how different species responded to the fluctuations in biomass that we observe in the streams in this region. I’ve talked about this before (see “A tale of two diatoms …”), suggesting that Platessa oblongellatended to dominate when biofilms were thin whilst Odontidium mesodon preferred thicker biofilms. That was almost two years ago and I now have more data with which to test that hypothesis, and also to see if any other common taxa had an equally strong preference for particular states. A cobble from the bed of Croasdale Beck in February 2019 showing a brown biofilm (approx. 1.7 micrograms per square centimetre) dominated by Gomphonema parvulumand Odontidium mesodon. 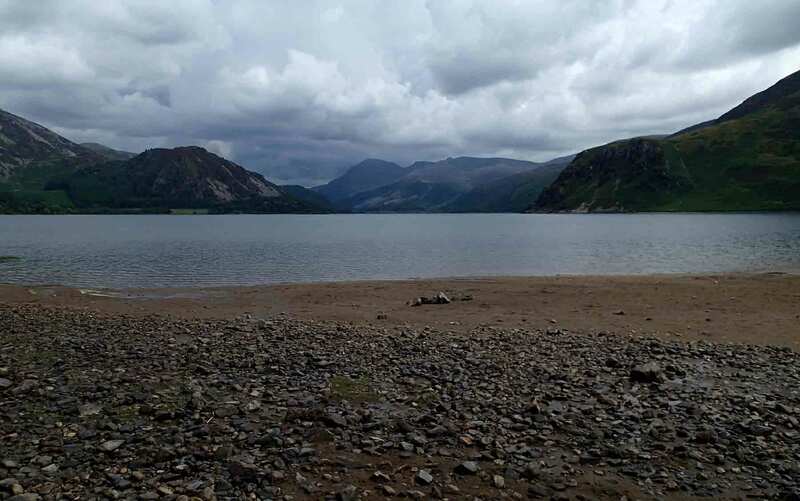 The photograph at the top of the post shows Ennerdale Water photographed on the same day. I should also be clear that, in Croasdale Beck especially, diatoms are the main algal component of the biofilm, so they are not so much responding to a particular state of the biofilm as actively contributing biomass to create that state. The other photosynthetic organism that is obvious to the naked eye in this part of Croasdale Beck is the cyanobacterium Chamaesiphon fuscus (see “A bigger splash …”) but this forms crusts on stone surfaces rather than contributing to the superstructure of the biofilm itself. 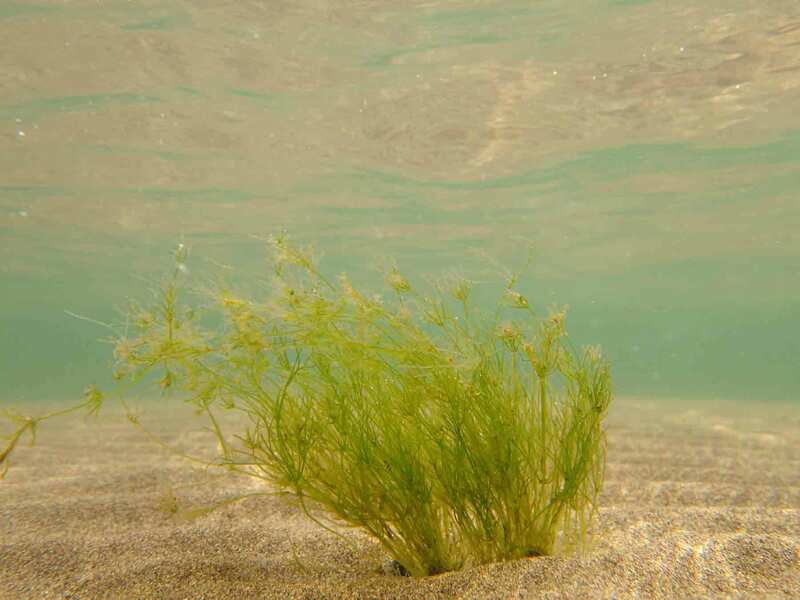 We do find other filamentous algae, but intermittently and in smaller quantities. We’ll look at Platessa oblongellafirst, bearing in mind that this was shown to be a mixture of two species about halfway through our study (see “Small details in the big picture …”). The graph below, therefore, does not differentiate between these two species although, from my own observations, I have no reason to believe that they behave differently. What I have done in these graphs is to divide the biomass measurements and the percent representation of these taxa in each sample into three categories: low, middle and high. In each case, “low” represents the bottom 25 per cent of measurements, “high” represents the top 25 per cent of measurements and “middle” represents all the rest. The left-hand graph shows biomass (as chlorophyll a concentration) as a function of the relative abundance of the diatom whilst the right-hand graph shows the opposite: the relative abundance of the diatom as a function of the biomass. These graphs bear out what I suggested in my earlier post: that Platessa oblongella(and P. saxonica) are species whose highest relative abundances occur when the biofilm is thin. So far, so good. Relationship between relative abundance of Platessa oblongella (including P. saxonica) and biomass in Croasdale Beck, Cumbria. a. shows biomass (as chlorophyll a) as a function of the relative abundance of the two species (Kruskal-Wallis test, p = 0.047) whilst b. shows the relative abundance as a function of biomass (p = 0.057). My second prediction in my earlier post was that Odontidium mesodonpreferred moderate or thick biofilms; however, whilst there is a clear trend in the data, differences between low, middle and high values of neither biomass nor relative abundance are significant. The explanation may lay in the strong seasonality that O. mesodondisplays, thriving in spring but less common at other times of year (see “More about Platessa oblongella and Odontidium mesodon”). 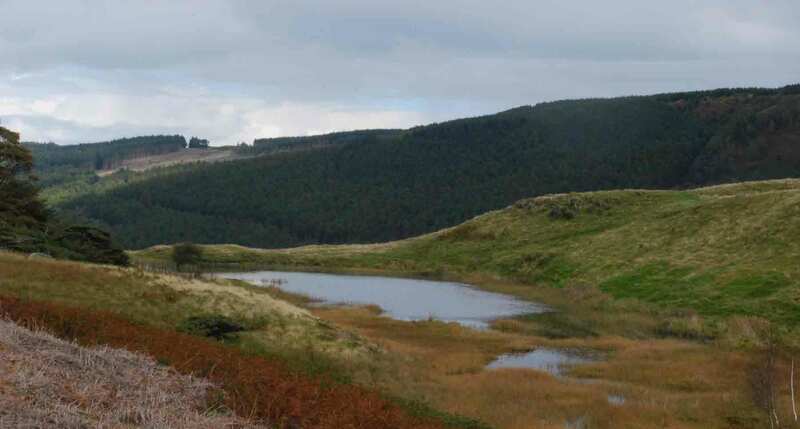 However, there are no strong seasonal patterns in biomass in Croasdale Beck, and this disjunction introduces enough noise into the relationship to render it not significant. Relationship between relative abundance of Odontidium mesodon and biomass in Croasdale Beck, Cumbria. a. shows biomass (as chlorophyll a) as a function of the relative abundance of O. mesodon (Kruskal-Wallis test, p = 0.568) whilst b. shows the relative abundance as a function of biomass (p = 0.060). I then tried looking at the relationship between relative abundance and biomass for a few other common taxa but with mixed results. None of Achnanthidium minutissimum, Gomphonema parvulum complex or Fragilaria pectinalis showed any clear relationship; however, when I looked at Fragilaria gracilis, a different pattern emerged, with a significant relationship between the quantity of biomass and the proportion of this species in the sample. 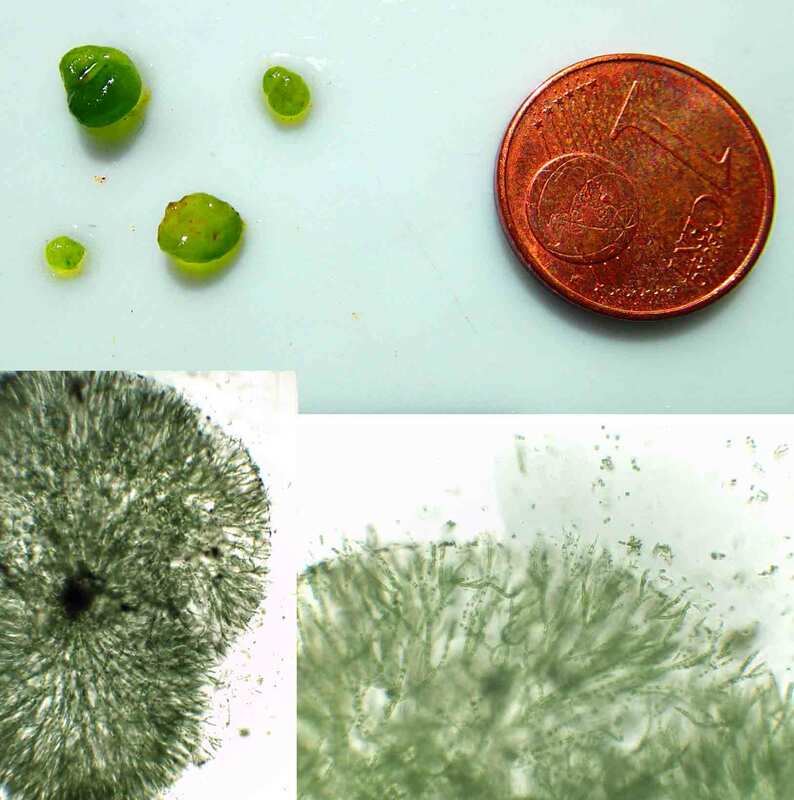 That, too, is not a great surprise as I often see clusters of Fragilaria gracilis cells growing epiphytically on filamentous algae within the biofilm. 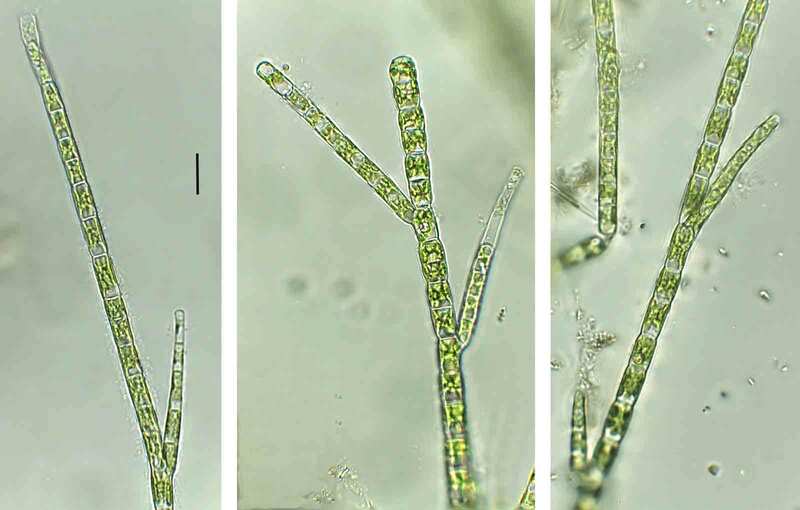 Whilst Platessa oblongella, which sits flat on the stone surface, seems to be a species that thrives when the biofilm is thin, so Fragilaira gracilisis favoured by a more complex three-dimensional structure, where it can piggy-back on other algae to exploit the light. I suspect, however, that in a stream such as Croasdale Beck, where the substratum is very mobile, Fragilaira gracilis will also be one of the first casualties of a scouring spate which will, in turn, open up the canopy allowing Platessa oblongella back. Even though my results for Odontidium mesodonare not significant, I still think it plays a part in this sequence, occupying the intermediate condition when some biomass has accumulated. It looks to me as if it also likes cooler conditions which then complicates interpretation of my results. Indeed, I am being rather selective in the results that I have included here. Three of the six species I investigated showed no response and one of the three that I did include showed a trend rather than a statistically-convincing effect. I suspect that the situation will rarely be as simple as I have shown for Platessa oblongella and Fragilaira gracilis. Nonetheless, there is enough here to make me want to scratch a little more and try to understand this topic better. Relationship between relative abundance of Fragilaria gracilis and biomass in Croasdale Beck, Cumbria. a. shows biomass (as chlorophyll a) as a function of the relative abundance of F.gracilis (Kruskal-Wallis test, p = 0.010) whilst b. shows the relative abundance as a function of biomass (p = 0.036). Croasdale Beck, photographed in February 2019. 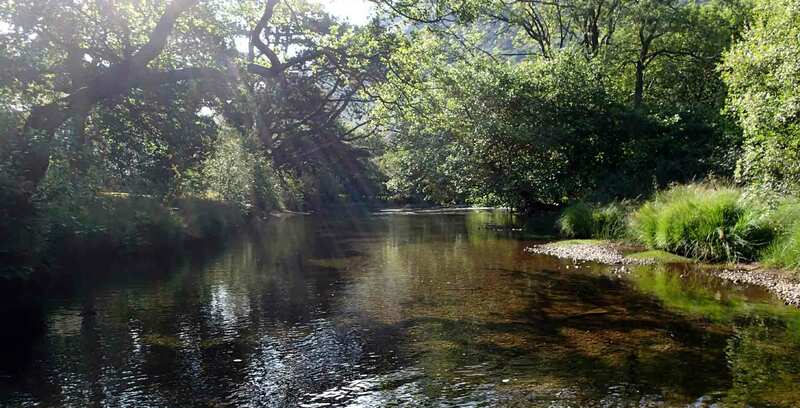 Fieldwork in the River Ehen has been an unusually pleasurable experience over the past few months, even to the extent of abandoning waders altogether and wearing just a thin pair of neoprene beach shoes and shorts as I worked. 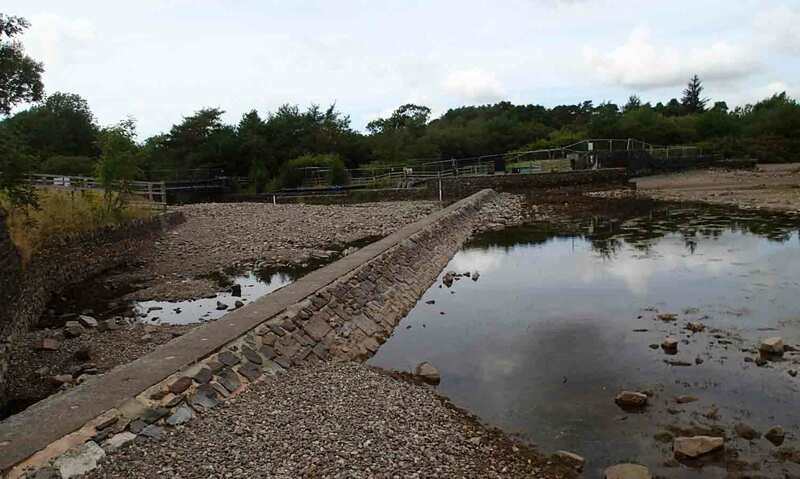 Curiously, there were few obvious signs of the prolonged period of low flow here, but that is partly due to the pumps installed by United Utilities to keep the river running whilst the lake was drawn down (see “Life in the deep zone …”). I did, however, find some intriguing green patches on fine sediments at the margins. Most of the bed in this part of the river consists of much coarser sediments than these which are, I suspect, silt and sand deposited on the occasions when Ben Gill (which joins the Ehen immediately below Ennerdale Water) is flowing. Current velocity is lower at the edges of the river, allowing fine sediments to settle out and create temporary sandbanks. One decent spate will be all that is needed, I suspect, to wash much of this downstream. However, there has not been a period of prolonged high flow for several months and there is, as a result, a thin green mat of algae growing on the upper surface of this sediment. Mats of Oscillatoria on fine sediments beside the River Ehen just downstream from Ennerdale Water, August 2018. The total length of the mats in the left hand photograph is about one metre. I scraped up a small sample to examine under my microscope. 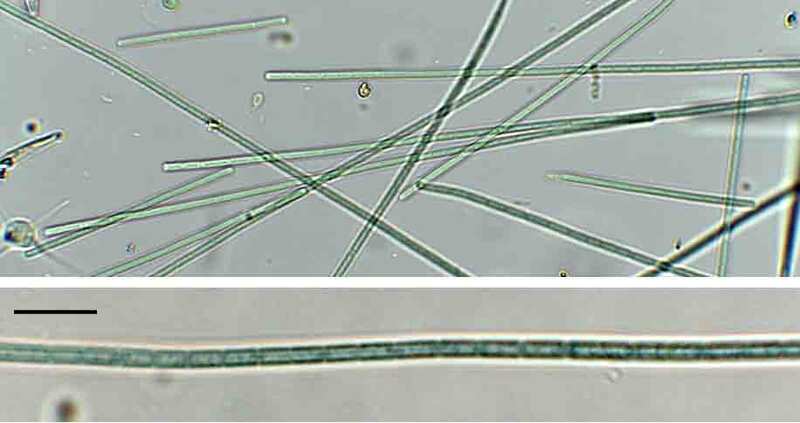 I was expecting to see the broad filaments of the cyanobacterium Phormidium autumnale which I often find at a site about five kilometres downstream (see “’Signal’ or ‘noise’?”) but what I saw was much narrower filaments, some of which were slowly gliding forwards and backwards. 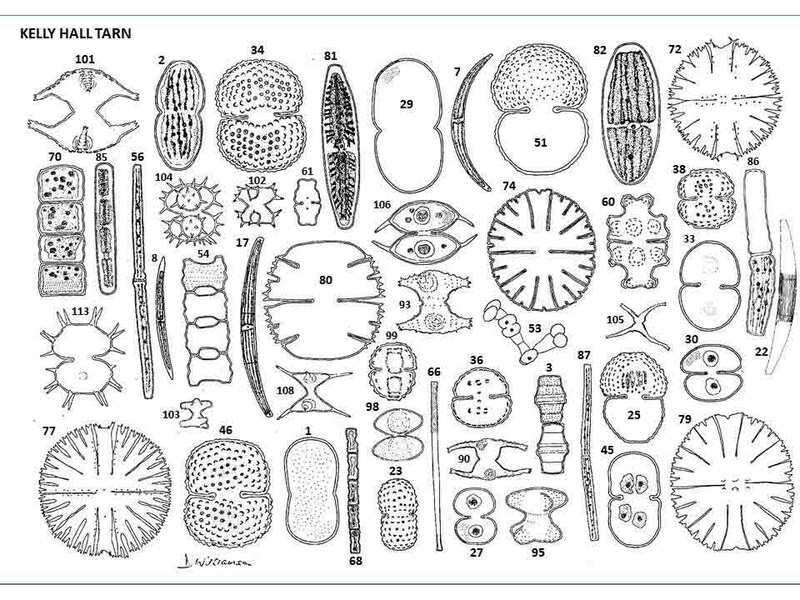 These belong to a species of Oscillatoria, a relative of Phormidium that is common in the plankton. 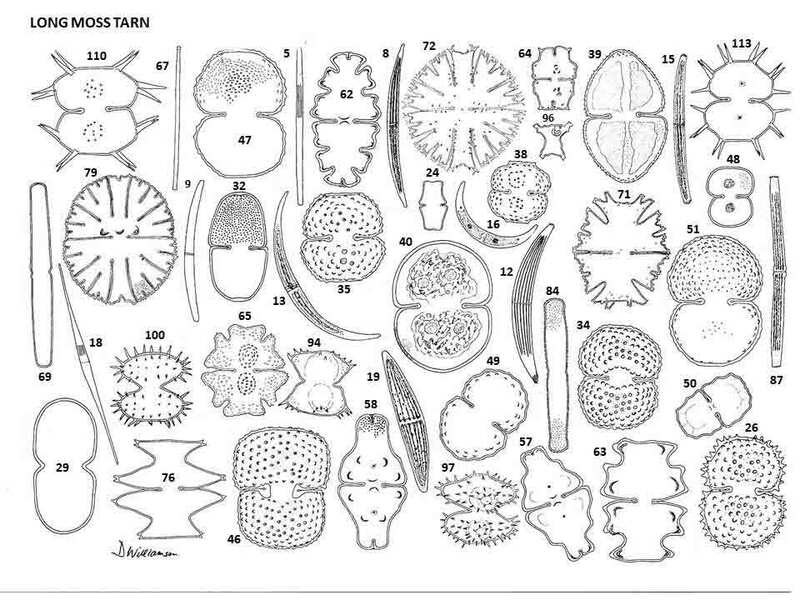 A few species, however, do live on surfaces and can, as I could see in the Ehen, form mats. I have, in fact, described a different mat-forming species of Oscillatoria (O. limosa) from the River Wear close to my home (see “More from the River Wear”) and this, too, had been favoured by a long period of warm weather and low flow. 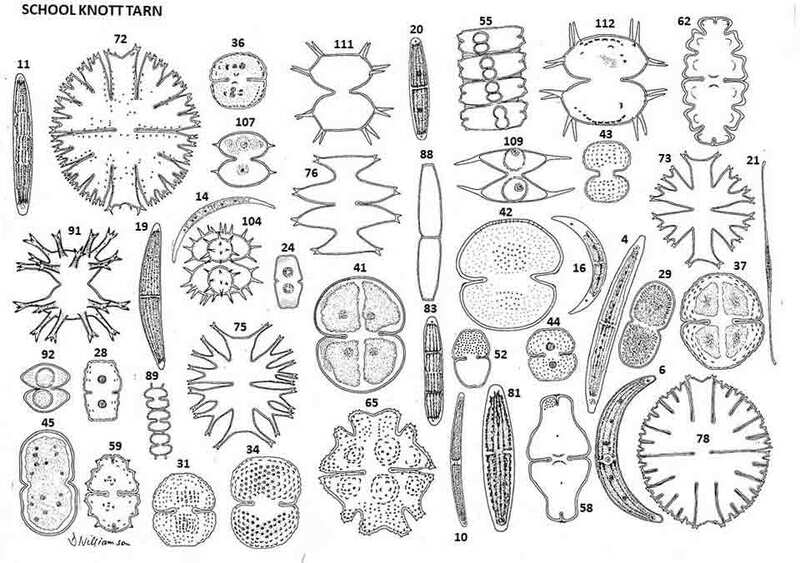 The filaments in the River Ehen were much narrower – just a couple of micrometres wide – and had relatively long cells (two or three times longer than wide) but, in other respects, they clearly belonged to the same genus. Microscopic views of Oscillatoria filaments from the River Ehen, August 2018. The upper photograph was taken at medium magnification (400x) and the lower image was taken at 1000x. The constant motion of the filaments means that it is not possible to use stacking software to obtain a crisp image. Scale bar: 10 micrometres (= 1/100th of a millimetre). The motion that I could see is thought to be due to a layer of tiny fibres (“microfibrils”) which wind around the inner layer of the cell wall in tight spirals. Movement is caused by waves that are propagated along these fibres, meaning that the filament actually rotates as it moves (though this is almost impossible to see with a light microscope). The filaments can move either towards or away from light, depending on the intensity, at a speed of up to 11 micrometres per second (that’s about a millimetre a day or, for any petrolheads who are reading, 0.00004 kilometres per hour). This allows the filaments can adjust their position so that they are neither in the dark nor exposed to so much light that they are likely to do damage to their photosynthetic apparatus (see “Good vibrations under the Suffolk sun” for more about this). The result is that filaments will tend to converge, Goldilocks-style, at the point where light conditions are “just right”. You can see some sediment particles settling on the top of the mat in one of the images and we can expect the filaments to gradually adjust their positions, incorporating these particles, over time. Last year, I wrote about Microcoleus, a relative of Oscillatoria, which formed mats on saltmarshes and explained how this could be the first stage of colonisation of damp habitats by plants (see “How to make an ecosystem”). We are seeing the same processes happening here, but the life expectancy of these mats is much lower. They may well be gone next time I visit, depending on how the Cumbrian climate behaves over the next couple of weeks. They are transitory phenomena, here today and gone tomorrow but, like the subjects of some of my other recent posts, particularly favoured by the long period of settled weather that we have enjoyed over recent weeks. Halfen, L.F. & Castenholz, R.W. (1971). Gliding motility in the blue-green alga Oscillatoria princeps. Journal of Phycology 7: 133-145.